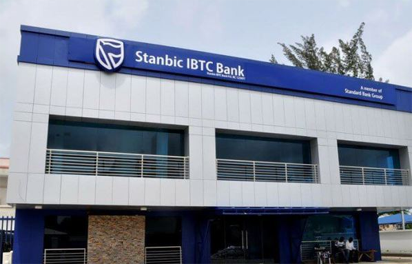 Stanbic IBTC Bank has taken another bold step towards service efficiency and enhanced customer experience with the deployment of robots to drive various dimensions of its operations. Deployed about three months ago, the Stanbic IBTC BlueBots, as the robots are called, manage middle and back office activities. At the operational centre at Ilupeju, Lagos, the robots facilitate Account Origination and Servicing for Anti-Money Laundering, AML, transactions and processing and clearing for inward cheque confirmation. At the Idejo, Lagos office, the Credit Risk Management System robots handle personal banking credit assessments, while at the bank’s headquarters in Lagos, the robots are deployed in Global Market Operations, GMO, to manage T-Bills processing. Speaking in Lagos, Chief Executive, Stanbic IBTC Bank, Dr. Demola Sogunle, said given the rapid manner technology is evolving and the disruption this can trigger, it is imperative to tap into such evolving trends and technology to address the changing needs of customers. His words: “The Stanbic IBTC robot deployment speaks to our determination to consistently apply innovation and technology to provide bespoke financial solutions to our clients. He added that the robots were designed and deployed to reduce manual intervention, eliminate errors and reduce cost of processing in reconciliation processes, with reconciliation turnaround time reduced significantly.